When a new sewer main was replaced just a couple of blocks from The Country Music Hall of Fame, a landmark was almost completely obliterated. 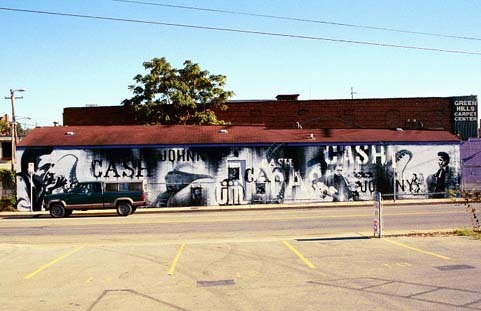 Street art at its finest, the Johnny Cash Memorial by Rex2, Pako, Audroc and Scar at 4th Ave. South and Molloy, was somewhere one could take relatives and tourists just a few blocks off Lower Broad and watch faces light up as they wanted to get their picture taken in front of the mural. 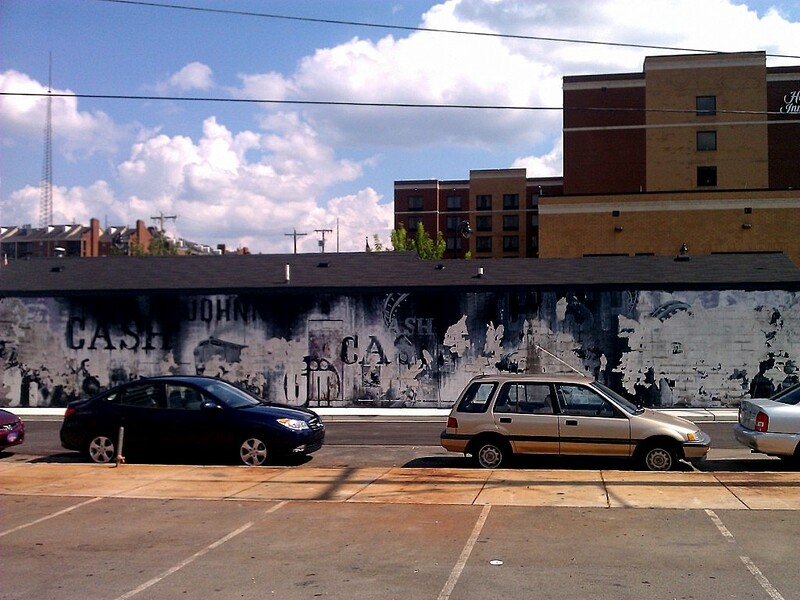 The Johnny Cash Memorial Wall was an oasis among the fading old glory of the original downtown. Day after day, I watched TDOT as they jack-hammered and imploded the road just a couple of feet from one of my favorite spaces. The wall became covered with debris as the street was dug up like somebody’s backyard getting ready for an Olympic size pool. 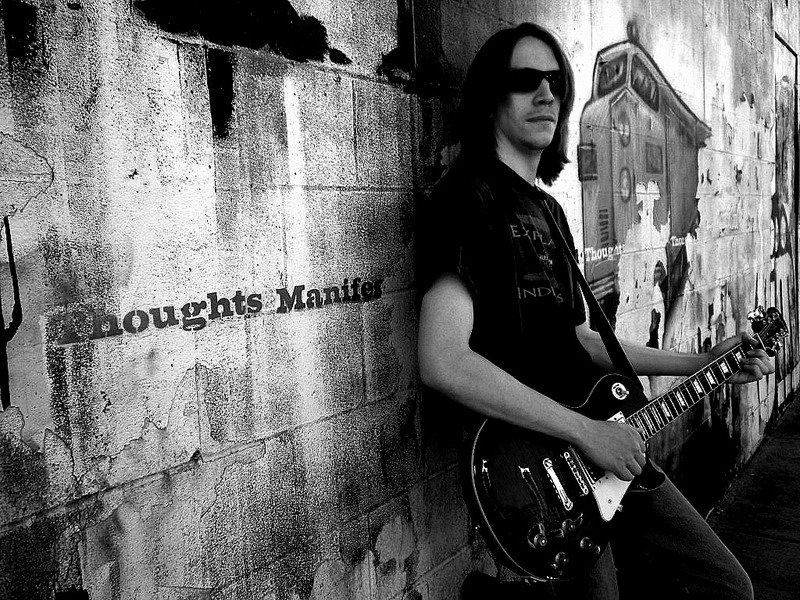 The words “Manifested Thoughts” and approaching trains all but gone. Couldn’t somebody have thought of putting a canvas up on the side of that building? 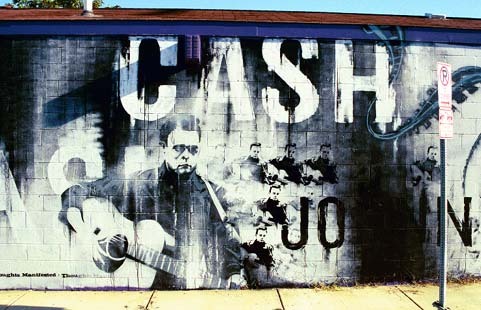 With all of the blasting shrapnel, eventually all that has been left is parts of the name CASH. The train murals and phrases all but gone. Okay, it was street art. 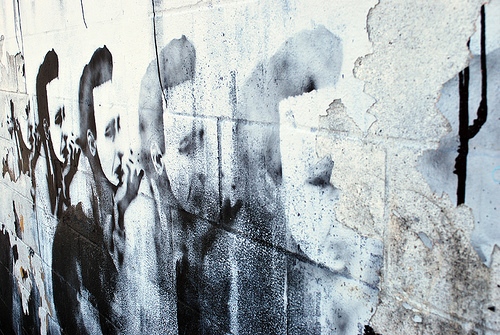 Street art is part of Nashville. There are other more recent murals as well as the old painted logos of businesses of days gone by. These are things that people look for. 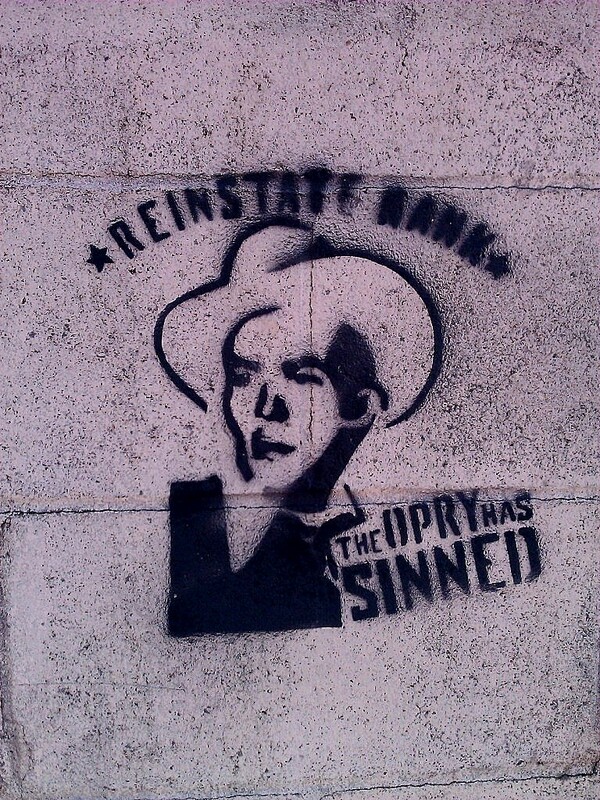 A remnant of the past is part of what Nashville and Country music is all about. This was a great work of art. 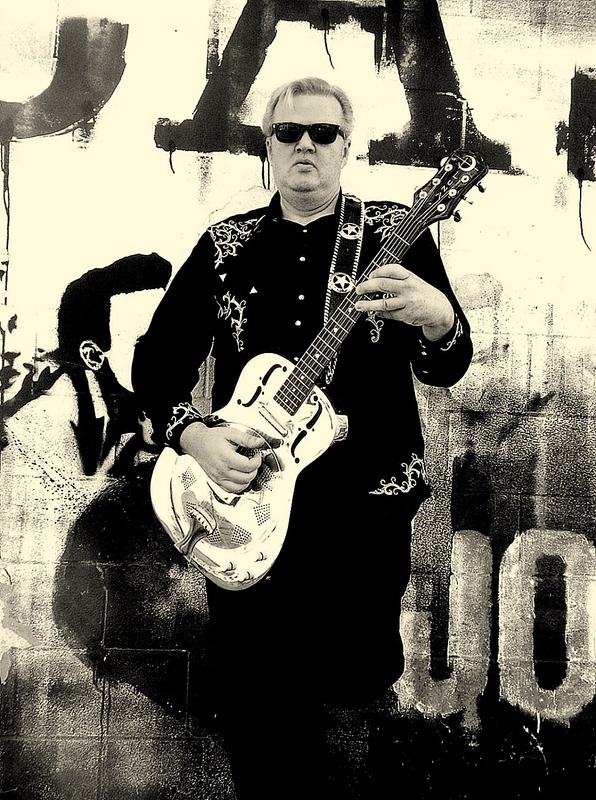 It was an outdoor Andy Warhol/Banksy-“Mona Lisa” of the most recent member of the Sun Records Million Dollar Quartet. Really, how could anybody do that? This is a meaningless travesty of justice and politics.